Sadly John Adcock passed away away just over a week ago. Between 1981-82 and 2008-09, John appeared regularly in the averages, topping the Div 5 averages in 1981-82 and the Div 3 averages in 1991-92. He played for the following clubs, in chronological order - NALGO, Dowty Ashchurch, Chelsea BS, Saracens and Cleeve Old Saracens. 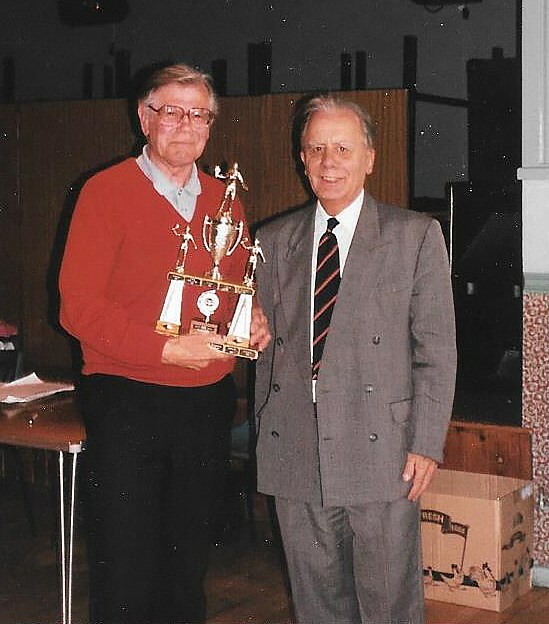 John was also awarded the Ron Dawkins Trophy 1995-96 for his exceptional services to Cheltenham Table Tennis. John continued to play in Cheltenham until 2012. In total a span of over 60 years.